In 2015, Saudi Arabia had announced the formation of a 34-state Islamic military coalition to combat terrorism and Pakistan was made a member of the coalition. 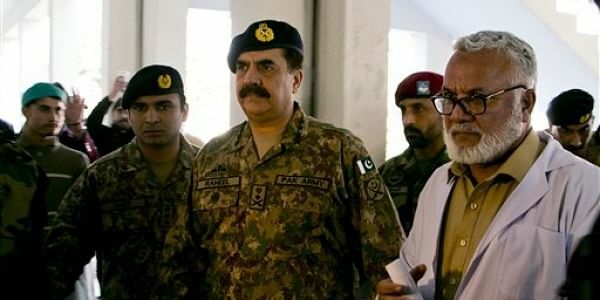 ISLAMABAD: The Pakistan Government has given its approval to former chief of army staff general (Retd) Raheel Sharif to lead a 39-nation alliance of Muslim states led by Saudi Arabia by providing him with a No-Objection Certificate (NOC). Defence Minister Khawaja Asif confirmed the approval of the government in a Geo News programme. Asif said a written request from the Saudi Government was received by the Pakistan Government in this regard. He said a meeting will be attended by the advisory board of defense ministers of member countries in this regard in May. Riyadh and its Gulf Arab neighbours have been locked in months of warfare with Iran-allied rebels in neighbouring Yemen, launching hundreds of air strikes there. This alliance was announced with the Islamic State pledging to overthrow the monarchies of the Gulf and mounting a series of attacks on Shia Muslim mosques and security forces in Kuwait and Saudi Arabia.